I went to the Ogden Arts Festival and all I got was…this AWESOME yarn! I'm intrigued by the lack of twist in the yarn. I'll let you know how it knits up. Art, like yarn, is like kryptonite to me. No matter how tight the budget, and ours is razor-thin right now, walking into an art fair is a surefire way to find me talking about how I will get a third job to finance my must have art piece and contemplating the logistics of mounting a canvas to the ceiling since we really don’t have any wall space left in the house. So when I made it out of the Ogden Arts Festival empty-handed it was nothing short of a miracle. And then my friend suggested we stop in The Needlepoint Joint, which was just up the street from the Festival. I agreed. And should’ve donned a blindfold, because I left with this lovely ball of yarn. 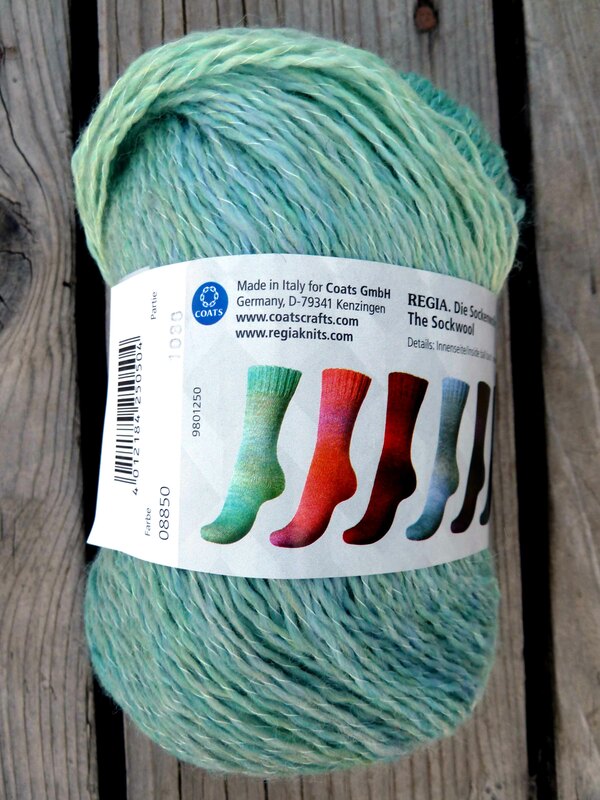 I didn’t realize Kaffe Fasset was designing yarn for Regia, but these soothing tones and subtle shade shifts had me at hello. Still, yarn (at least in this case) is cheaper than a painting or sculpture, so all in all, I think I should be commended.